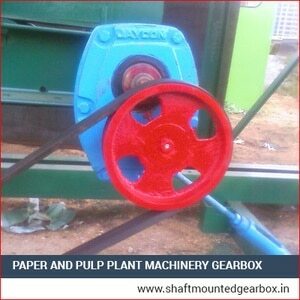 We are engrossed in manufacturing and supplying matchless quality of Paper and Pulp Plant Machinery Gearbox. We manufacture them utilizing high grade materials and components. These are fabricated in adherence with the international standards as per the norms of the industry. These are resistant to corrosion, easy to install, high functionality with reliability. They consume power minimally and negligible maintenance. These are robust and dimensionally very accurate. 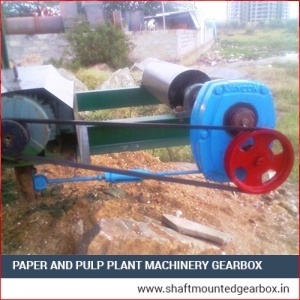 These are very aptly designed for Paper and Pulp Plant machineries. Hence are user-friendly and offer high performance. We offer our products at very affordable rates. 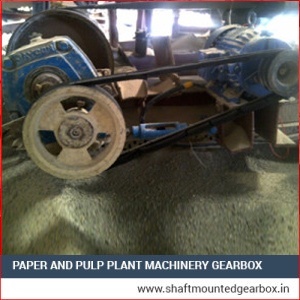 We supply our gearboxes to cities such as Bangalore, Chennai, Delhi, Mumbai and Vadodara.